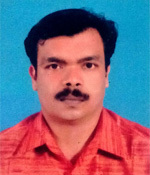 Professor John J Palakkappilly holds M.Tech Degree in Industrial Electronics from CUSAT. He has 32 years of industrial experience in HMT LTD, 2 years in an American company as R&D Engineer and retired as Joint General Manager from HMT. He got 5 years teaching experience in Engineering Institutions and more than 3 years in I.C.W.A (Institute of Cost and Works Accountant). He is a fellow member of Institution of Engineers India and a charted Engineer. He has attended Management programs at IIM Ahmedabad and represented HMT in International Machine tool Exhibitions held at Hanover Germany. He was holding vice chairmanship of IIPE, IIMM- Kerala Chapter. His areas of interest are Automation Applications, CNC Controls and ERP. 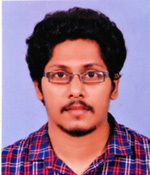 Mr. Anoob C S holds M.Tech degree in Embedded system from Calicut University. He has more than 7 years of teaching experience in Engineering and 2 years of experience in automation Industry. He published 2 papers in international journals, conducted workshops and attended faculty development programmes. His areas of interest are RTOS, Microprocessor and Microcontroller Embedded Systems Industrial and Innovative Projects. 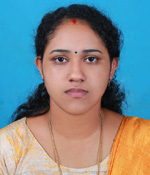 Ms. Gopika U K holds M.Tech degree in VLSI Design from Amrita Vishwa Vidhyapeetham. She has more than 6 years of teaching experience in Engineering and also worked as guest lecturer for 2 years in Govt. Polytechnic College, Perumbavoor. She is a fellow member of Institution of Engineers (India). She has attended various workshops, faculty development programmes and seminars. Her areas of interest are Power Electronics and Communication Engineering. 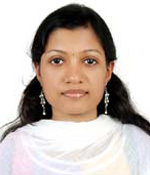 Ms. Geethu M Sasi holds M.Tech degree in VLSI Design and Embedded systems from CUSAT university. She has more than 6 years of teaching experience in Engineering. She has attended various workshops, faculty development programmes and seminars. Her areas of interest are Digital circuit design and Communication Engineering. Mr. Sumesh A S holds ME degree in VLSI Design from Anna University. He has more than 6 years of teaching experience in Engineering. 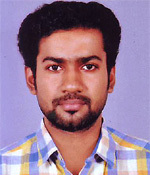 He is now pursuing PhD in Biomedical Signal Processing under KTU. He has published articles in reputed national and international journals and attended seminars, workshops and conferences. His areas of interest are Image Processing and Signal Processing. 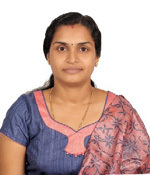 Ms. Renjisha E Rajan holds ME degree in Applied Electronics from Anna University. She has more than 5 years of teaching experience in Engineering and 1.5 years of industrial experience in a reputed company. She has attended various workshops, faculty development programmes and seminars. Her areas of interest are Digital system design and Communication Engineering. Ms. Nivya K Venu holds ME degree in VLSI Design from Anna University. She has more than 5 years of teaching experience in Engineering. 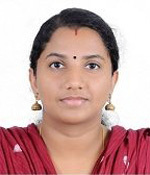 She has published a paper in international journal of Electronic Research, attende seminars, workshops, conferences and faculty development programmes. 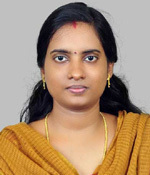 Her areas of interest are VLSI Design, Electronic circuit design and Communication Engineering. Ms. Amrutha Joshy holds ME degree in Embedded systems from Anna University. She has more than 5 years of teaching experience in Engineering. She has published 2 papers in various international journals, attended seminars, workshops, conferences and faculty development programmes. Her areas of interest are Embedded systems and logic circuit design. 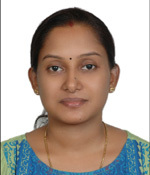 Ms. Amitha M J holds ME degree in Electronics and Communication from Anna University. She has more than 4 years of teaching experience in Engineering. She has attended workshops and faculty development programmes. Her areas of interest are wireless communication and digital communication. 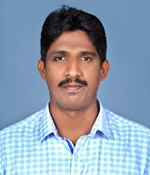 Mr. Amal Nataraj holds M. Tech degree in Communication Engineering from MG University. 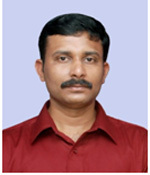 He has 1 year of teaching experience in Engineering and 1 year as skill development executive at ASAP, Kerala. He holds the position of NSS co-ordinator in the college. 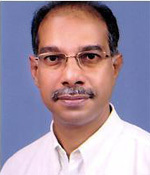 He has attended workshops and faculty development programmes. His areas of interest are wireless sensor networks and Communication Engineering. 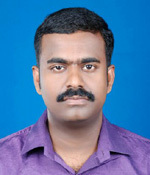 Mr. Ayyappadas R holds M. Tech degree in Communication Engineering from MG University. He has 1 year of teaching experience in Engineering. He also worked as guest lecturer in Adi Shankara Institute of Engineering and Technology. He has published a paper in an international journal on Cognitive radio networks, attended various workshops on Lab view, MATLAB etc and faculty development programmes. His areas of interest are cognitive radio networks, MIMO, IOT, MM WAVE. Ms. Riya Benny has completed her M-Tech degree in VLSI and Embedded Systems from APJ Abdul Kalam Technological University. 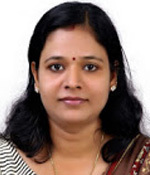 She is very much adept in her field of Electronics and Communication; and presented 2 papers at IEEE International Conference on Recent Trends in Electronics, Information and Communication Technology (RTEICT-18). She has conducted workshops on ARDUINO Programming and LED Driver assembly and has also attended several workshops and seminars on Eclipse conducted by IBM and Altera-FPGA. Her areas of interest are Embedded System Design, Neural Networks, Fuzzy based System Design and IoT.